One of the best things you can do for yourself is to know what you want during your birth. A birth plan template may very well just help you figure it out! These printable birth plan templates and generators are perfect for helping you narrow down your ideal birth plan. Of course, when setting up your expectations for your birth, it’s best to go in with a “hope for the best but plan for the worst” kind of mindset. Even if you want an all natural, perfectly timed and peaceful birth, go in with the idea that if plans have to change, that’s ok too. Here are the best printable birth plan makers we could find, all in one place. Use one of these to make sure you hit everything on your birth plan checklist. Some of the links in the post may be affiliate links. This means we may make a small commission on products we recommend. For more info see our full disclosure. What is a Visual Birth Plan? Why Choose a Visual Birth Plan? If you are not familiar with birth plans in general, you are in the right spot! 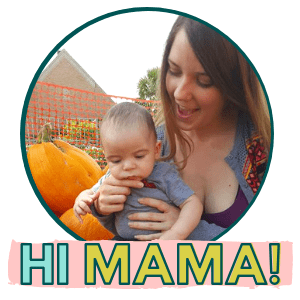 I have found that some moms, especially first-time moms get really intimidated by birth plans. But it really isn’t that complicated. Especially with the resources on this page! We have gone and found all of the best birth plan templates online and compiled them here. Since every new mom has different needs for their birth plan, we’ll tell you if each plan fits specific needs. All of the birth plans on this list are printable! Sometimes the term birth plan template and birth plan generator are used interchangeably. Mostly, with a birth plan template, you get a template and fill in the blanks. Some of the templates you can fill out online, while others you can print and fill out at home. A birth plan generator will typically create a birth plan for you, based on questions you answer. There is also a difference between a template, a generator and a visual birth plan. A visual birth plan is (usually) a one-page birth plan that helps give your providers a quick overview of the type of birth you want to have. These types of plans are becoming more and more popular and for a good reason. They make planning your birth easy, fun and super simple to communicate with the rest of your birth team. I mean, would you want to read that on top of trying to take care of a laboring mama and monitoring a baby? The easy solution, a beautiful and easy to read visual birth plan. Typically these are one-page documents with a few words that easily indicates what mama wants during her birth. What pain interventions are ok and not okay. What to do if X happens? Who is participating in the important things? 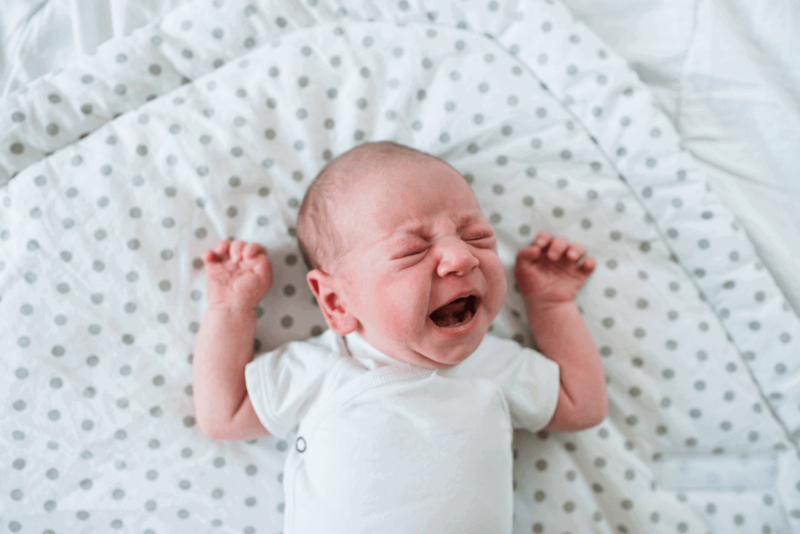 What’s ok to do for your baby after birth and what’s not. The great thing is that most of these are printable and you can make multiple copies to help keep everyone on the same page. We stuck this in here, as we get this question a lot. Yes! These are birth plans are for first time moms, second time moms, and upteeth time moms. They’ll help you walk through a birth plan that fits your needs! If you’re looking for an awesome pregnancy and birthing planner, I suggest first checking out our Big Pregnancy Planner. This beauty is another cool visual birth plan. Their website Visual Birth Plan is in the beta stages of creating an awesome online birth plan creator. You’ll be able to enter your birth plan and have it give you a custom plan! Within a few days you’ll get a pretty, printable, one-page birth plan. This allows your provider to see your plan in a clear and understandable way, without having to take a bunch of time to stop and read it. They have rave reviews for their customer service! Good for: Those wanting a nice looking, clear and concise printable birth plan. They offer a one-page birth plan template and a more advanced one that contains 2 pages if needed. Their whole shop is dedicated to creating beautiful, customizable birth plan templates. It’s easy and quick on your part. You simply purchase the plan of your choice, answer the questions in the email, and wait a couple of days to receive your colorful and perfectly customized birth plan. Visual birth plans like this are preferred because they quickly get your desires across without being too wordy. Plus, they are a pretty keepsake to keep afterward. Perfect for your pregnancy journal or baby book. Good for: Those looking for a pretty and functional birth plan, and aren’t worried about spending a few bucks. This particular illustrated birth plan is very unique. 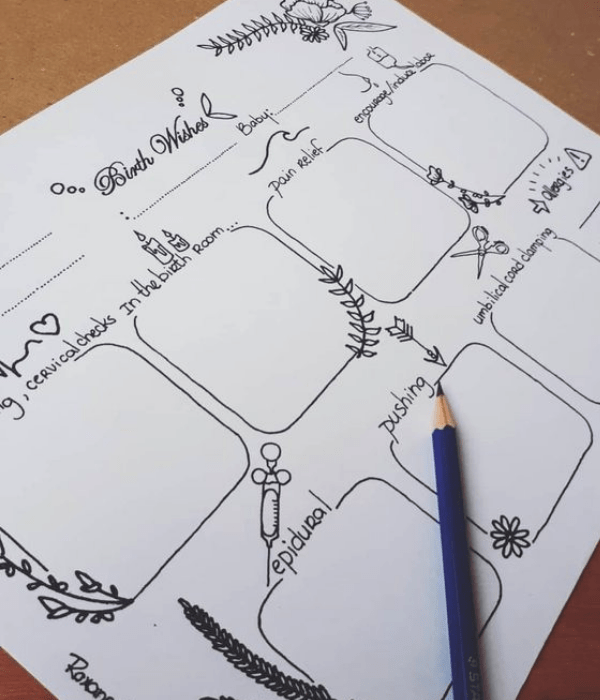 It’s all hand drawn and offers you a great way to write all of your birth plan out yourself, but in a pretty, easy to visualize way. Her shop has quickly become a personal favorite of mine on Etsy. If you check it out, you’ll see why. Her illustrations are gorgeous and offer a fun way to focus and reflect on the beauty of pregnancy and birth. The way it works is pretty simple too. You purchase the coloring pages you like, print them out and color as you please. This offers a very calm, relaxing experience for pregnant mamas to connect with their body and baby. Good for: Those looking for a pretty template, but want to write in their own plan. Also, very affordable. This visual birth plan template is custom created by Magnolia Mama Design on Etsy. Another great birth plan option. You can message her and tell her what you want depicted on your birth plan, and she’ll whip you up a great looking birth plan for a very reasonable price. Good for: Those looking for something personalized, but not overly complicated. I just love that it has the photos of the birth team at the top! If you’re looking for an absolutely free birth plan, here are the best resources around. This is a generic but extensive print and plug birth plan template. This is a good one to take a look at to see what type of things could actually be involved in a birth, but some of the interventions seem a little strange to include in a birth plan. It’s more of a permission type of list, rather than a guide to help your care providers understand your desired birth plan. Good for: Those looking for a comprehensive, very specific list of interventions. 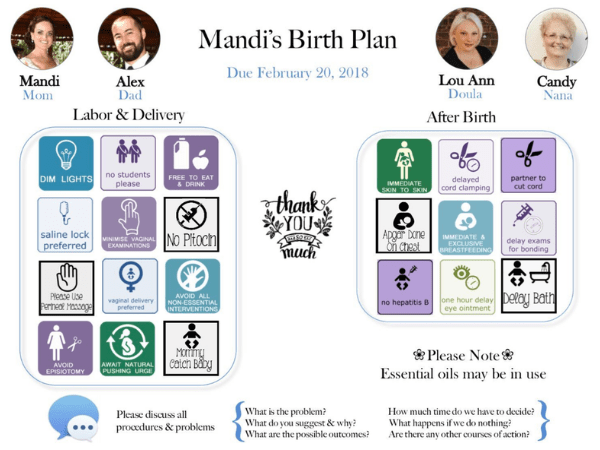 For anyone looking for a natural birth plan template that’s free, this is a great resource to check out. 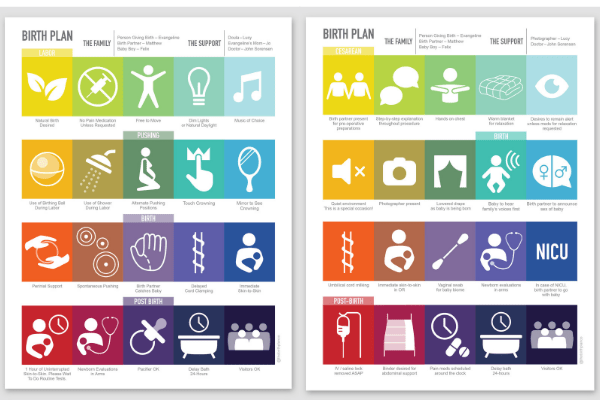 Essentially it’s a downloadable birth plan pdf that has lots of different icons. You customize it yourself in word, picking and choosing which icons you want to use. You can then adjust your plan to fit your specified birth interventions. Good for: Those looking for a free visual, natural birth planning template. This is a simple birth plan that covers some of the most important aspects of what should be included in all birth plans. You can edit it directly from the pdf link above, and print it out. 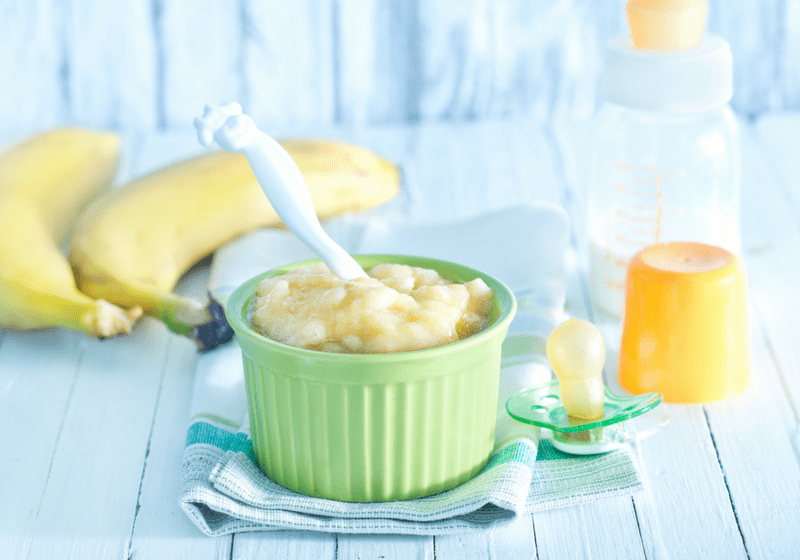 Good for: A short and quick birth plan that will only take a few minutes. This is one of my personal favorite of the free birth plan templates! It’s a comprehensive list of interventions that put everything into simple and basic terms, and clearly get your message across as to what you want from your birthing experience. But they really do have great, non-toxic baby products that you should check out here. Good for: Those wanting an easy natural birth plan template with the ability to pick and choose what natural birth means to them. This is a great birth plan generator! This one is certainly not pretty and pretty basic looking once you print it out, but it’s fully customizable. You can add a special message at the top, and your own notes and preferences below each section. You can even pick the title of your birth plan. 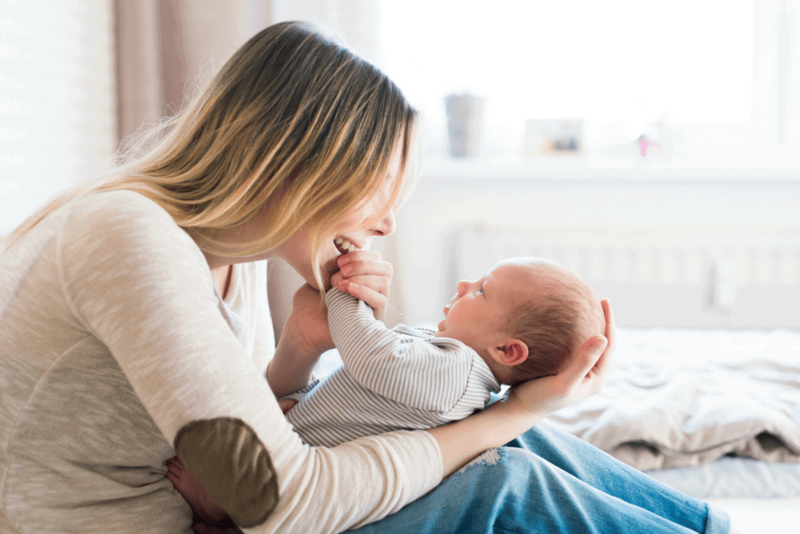 These may seem like insignificant details, but they can make all the difference in how you feel about handing your provider your birth plan. I personally feel much better about handing a sheet called “Preferences for labor and birth” vs. “Birth plan” to hospital staff. Good for: Those looking for a completely customizable plan with additional personal notes. Even if you don’t plan on bringing a printed birth plan to your birth, it’s still a good idea to go through a few of them to get you thinking about what you do and do not want during birth. There are a lot of big decisions to make, and going in with a plan in place, will make it so much easier. After all, when you laboring, the last thing you will want is someone asking you a bunch of questions that you don’t know the answers to. 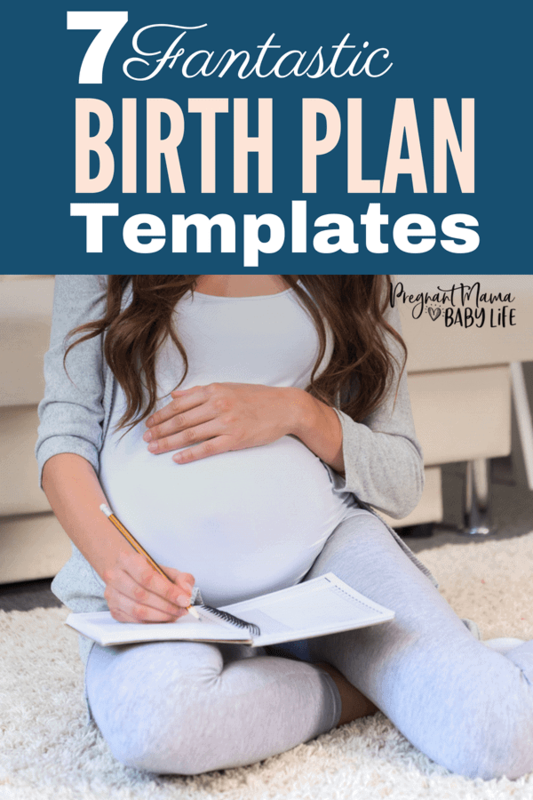 You’ll be so grateful you grabbed one of these fantastic birth plan templates! Thanks so much for sharing about The Birth Plan Co! It gives me so much joy to help people prepare for the birth of their baby in a meaningful way! As of yet, I have never created a custom birth plan that is identical to another … everyone’s birth preferences are unique! You have beautiful birth plans! If i had know about them when I was pregnant, I would have loved to have had one!